I’m currently now in Boston, MA. I’m here to join a conference called Harvard National Model United Nations, which will start in 6 hours. On a training for this conference back in Indonesia, me and my fellow delegates were having a caucus session about “Small Arms and Light Weapon”. The 1997-Report of the UN Panel of Governmental Experts on Small Arms (United Nations,A/52/298, 27 August 1997) distinguishes between small arms, which are weapons designed for personal us and light weapons, which are designed for use by several persons serving as a crew. I believe ideas are priceless. One thing that differentiate a human to another human is his/her brain. No man has the same stuff on their mind. We are created unique to others. Ideas can take you everywhere. Ideas has taken Mark Zuckerberg becoming the youngest billionare today! 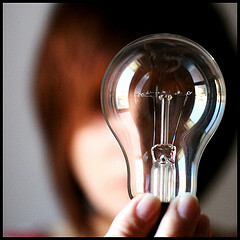 Idea also can injure people. My weapon, ideas, could injure or even kill people. The idea of building the Panama Canal killed million lives. Did the idea stay? Yes, the Panama Canal was built, and is now making a way for ships from Pacific to Atlantic. It may not kill more people than nuclear weapon does, but my weapon stays everytime it kills people. Nuclear weapon? It destroys while destryoing others. You can kill the person possesses the weapon. But that is it. Your weapon becomes less powerful. 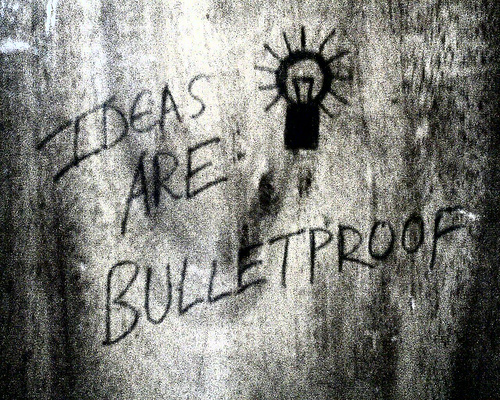 With ideas, you can kill the person, but you can’t kill an idea. I believe that the most powerful thing is something that intangible. It doesn’t mean that I’m a superstitious person. It is just because tangible things could be destroyed easily. In my opinion, the definition of weapon is something you have that make you even more brave in facing everyday life. To police officer, yes, light weapon could make them even brave in facing every day crimes. To me, knowing how things work is what makes me even stronger. In every conference, there’s always an Opening Ceremony, so does HNMUN. On the Opening Ceremony on February 17, 2011, we had a key note speaker to speech. 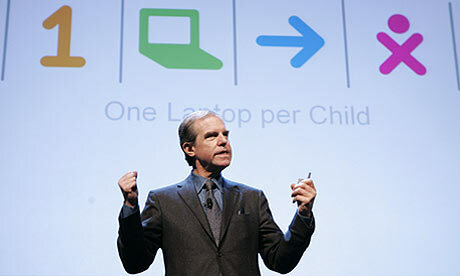 He is Nicholas Negroponte, the founder of ‘One Laptop per Child’ program. Nicholas Negroponte "One Laptop per Child"
His idea is to educate children in poor country, mostly poor country in a conflicting area. Children don’t go to school in there, they are also illiterate, and so do the parents. In most of the African countries, conflicts regularly happen who many of child soldiers participate. Nicholas Negroponte proposed his idea to United Nations. The program was accepted and developed. 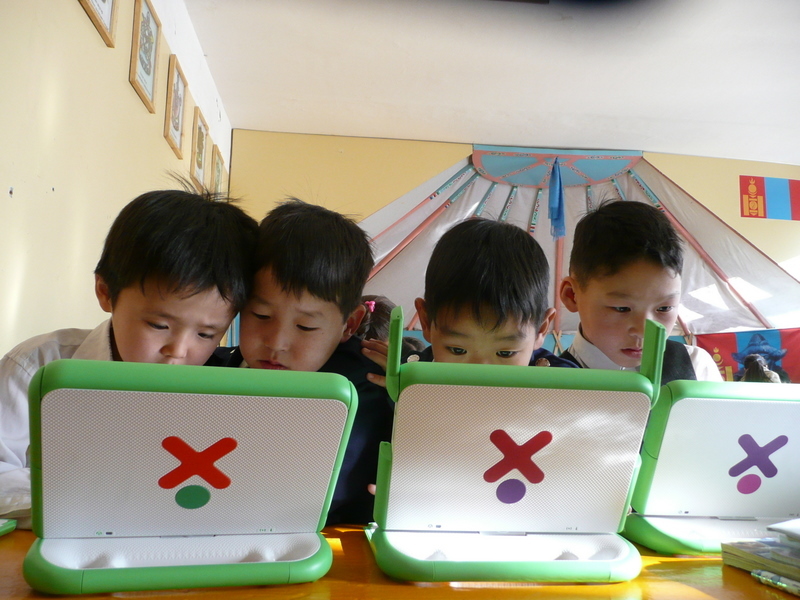 Now, it has been helping children all over the world to get and education for 5 years long. 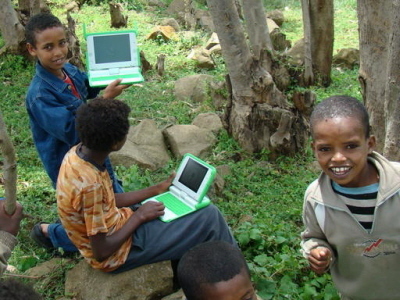 Now, every kids whether come from develop or developing country can share the same story, and has the same chance to get connected. Every kids have the chance to embrace braveness in living their life, simply because they do have something in their head. That’s all I guess! Remember that you can go anywhere with (some) idea and (some) education. cool! from educated idea we can change the world.. i like your opinion..
imo, the greatest weapon of all is your tongue!